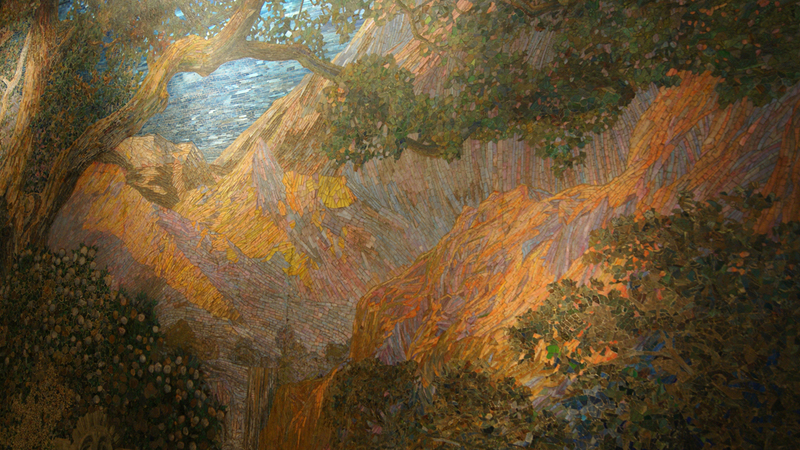 Publisher Cyrus Curtis was familiar with the work of Maxfield Parrish, whose magazine illustrations were highly popular and distinctive. 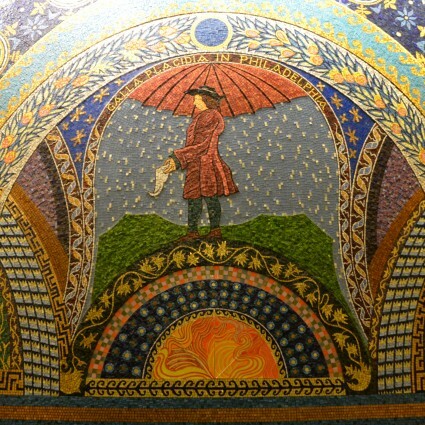 He commissioned Parrish to design a mural for the entrance to the lobby of the Curtis Publishing Company and asked glass master Louis Comfort Tiffany to fabricate it. Facing Independence National Historical Park, the breathtaking mural was installed in 1916 and was the only collaboration between these two significant artists. The mural is composed of hundreds of thousands of irreplaceable glass tesserae in more than 260 color tones, weighing in excess of four tons. 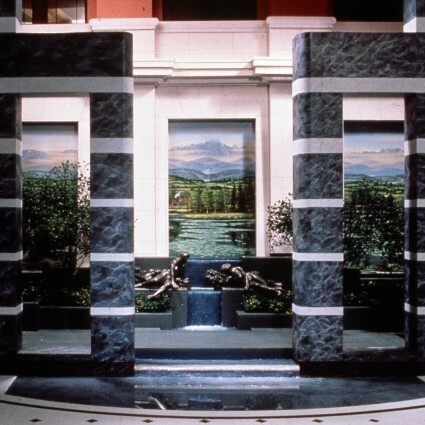 In 1998 news broke that The Dream Garden was about to be removed and sold to an anonymous buyer by the Estate of developer and arts patron Jack Merriam. The beneficiaries of the estate were four non-profit education and arts institutions and Merriam’s widow, who died before the disposition of The Dream Garden was settled. After considerable public outcry, the buyer decided not to pursue the purchase. To provide greater protection for the mural in the future, the Philadelphia Historical Commission designated the mural as the City’s first “historic object,” under an existing provision of the historic preservation ordinance. The Merriam estate appealed the designation and filed for a demolition permit. The Fairmount Park Art Association (now the Association for Public Art) with the Philadelphia Volunteer Lawyers for the Arts were actively involved in representing the public interest in the complex regulatory and legal proceedings. 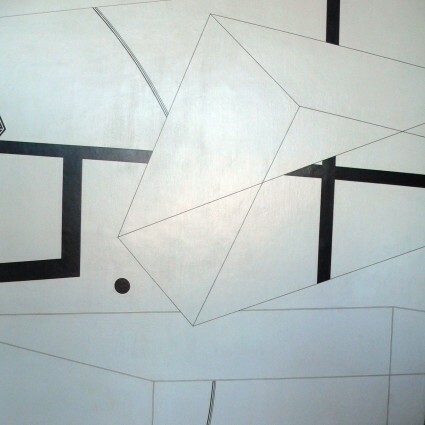 The Association argued that the mural is a site-specific work of public art integral to the historic building in which it is located, that it was created and located for the enjoyment of the public, and that its relocation risked damage to the work. For more than three years, various appeals were pursued, from the city’s license and inspection review board to the Commonwealth Court. The City defended its designation and was joined in this effort by the Association, the Preservation Alliance for Greater Philadelphia, the Pennsylvania Historical and Museum Commission, Preservation Pennsylvania, and the National Trust for Historic Preservation. A citizen’s activist group, The Coalition for Philadelphia Art, regularly picketed outside the building to call attention to the mural’s threatened status. 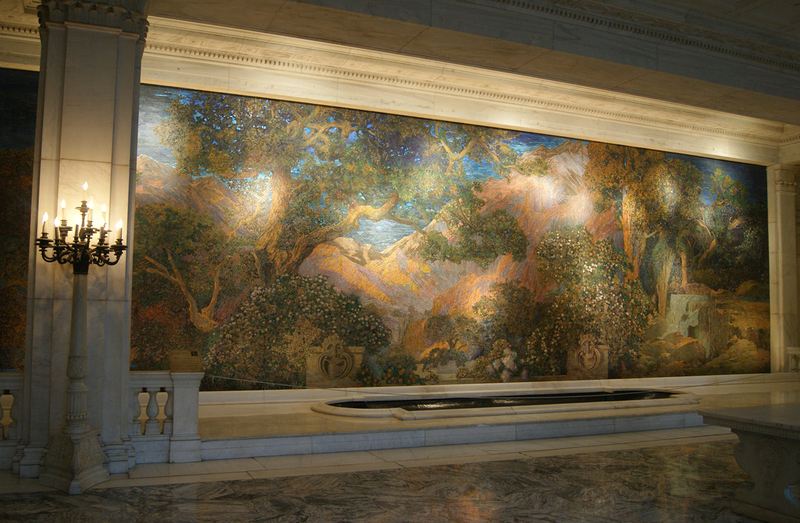 Finally, in a sweeping gesture of civic rescue, in 2001 the Pew Charitable Trusts agreed to provide funds to buy out the interest of the owner’s heirs, and the three remaining beneficiaries turned the mural over to the Pennsylvania Academy of the Fine Arts with the understanding that it will remain in the lobby of the Curtis Building, its home for nearly a century.